Valle de Bravo (American Spanish: [ˈbaʝe ðe ˈβɾaβo] ( listen)) is a town and municipality located in State of Mexico, Mexico. It is located on the shore of Lake Avándaro, approximately 156 km southwest of Mexico City and west of Toluca on highways 15, 134 or 1. 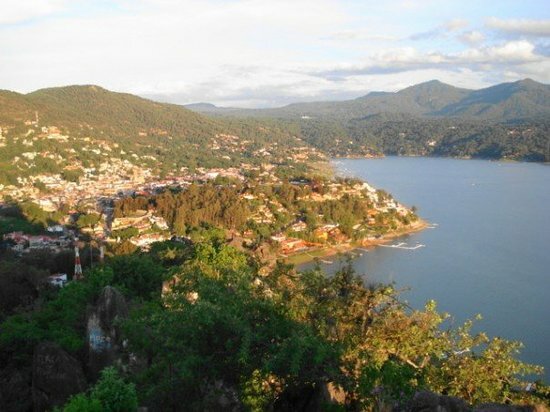 It takes about 2 hours to drive from Mexico City to Valle de Bravo, making it a popular weekend getaway for the capital's affluent upper class.